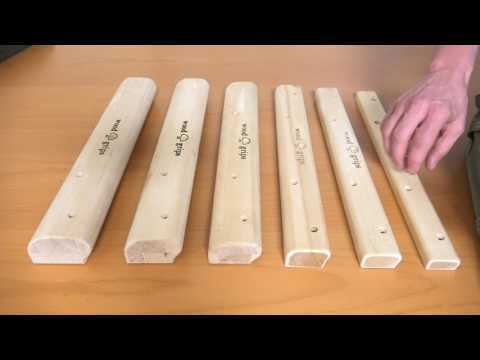 Individually hand sanded, these wooden rungs are unsurpassed for their smooth feel. Custom tooling gives them comfortable smooth shapes so you can crank happily until your forearms balloon. Contains 2 small, 2 medium, and 2 large campus rungs. Each rung has an incut and a flat side. Small is 1.9cm thick. Medium is 2.5cm. Large is 3.2cm.